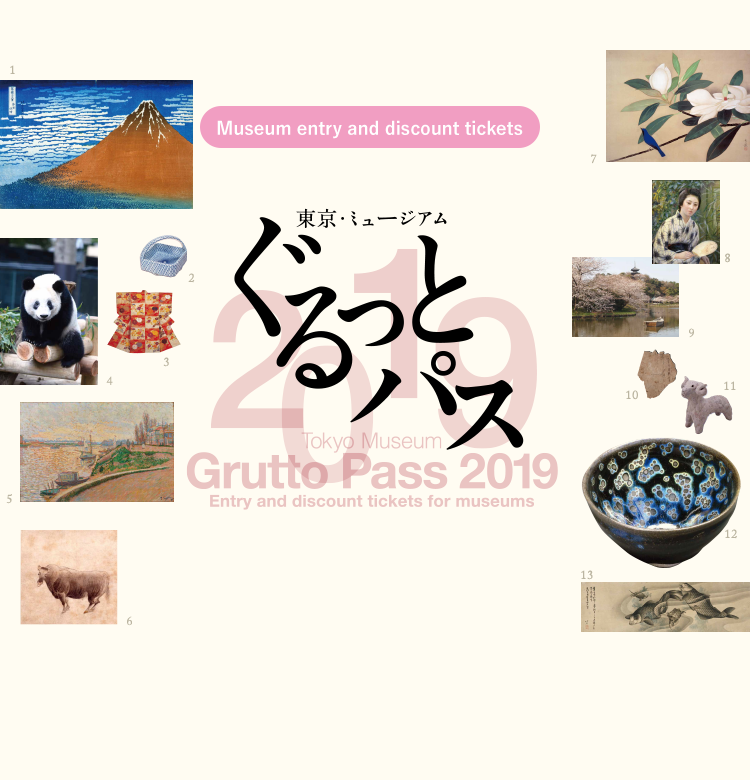 Tokyo Museum Grutto Pass 2019 is a convenient ticket booklet that provides admission tickets as well as discount coupons for 95 museums and other facilities in the Tokyo area. Remember that the pass can be used once per designated facility. 2 months from the date on which you first use it. * The work being used with this key visual is not meant to be surely displayed during “Grutto Pass 2019” period. For exhibits, please contact each facility.